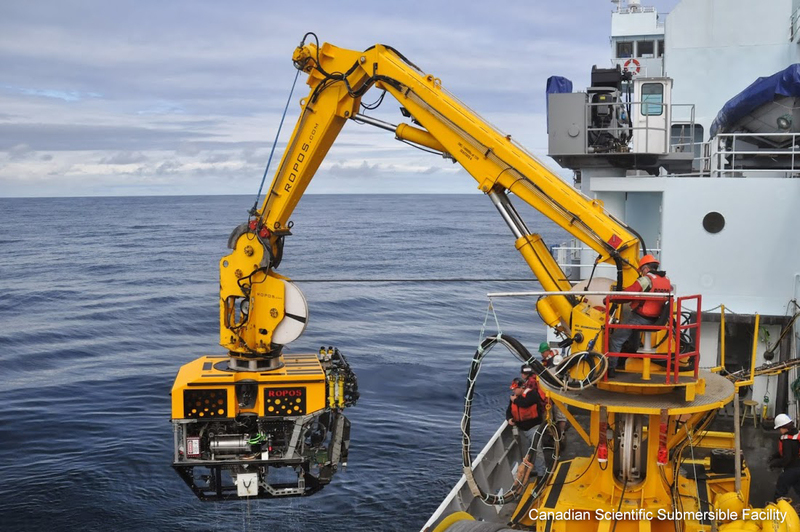 HALIFAX, NS--(Marketwired - June 05, 2017) - To celebrate World Oceans Day, Oceana Canada announces a summer of exploration in collaboration with world-leading researchers to discover ecosystems in the Atlantic Ocean. Explorers, scientists, students and technicians in Canada and the United States will come together to research never-before-seen areas of the Gulf of Maine and the Gulf of St. Lawrence. The Gulf of Maine expedition takes place from June 8-22, led by Dalhousie University and Memorial University -- funded by the Natural Sciences and Engineering Research Council of Canada -- and the U.S. National Oceanic and Atmospheric Administration. Oceana Canada will bring the expedition into people's homes using high-tech camera equipment and live streaming. Later this summer, Oceana Canada will set sail on an expedition to the Gulf of St. Lawrence, joined by world-renowned explorer and Oceana Senior Advisor Alexandra Cousteau. "These expeditions continue a legacy that traces its roots back to my grandfather, Jacques-Yves Cousteau," says Alexandra Cousteau. "I've personally taken part in expeditions across six continents for more than 20 years and am thrilled to be a part of this exciting work to study and help protect important ocean ecosystems. The teams leading this work share the passion that my family has had for generations and are using the latest technology to make scientific research and ocean exploration a reality for a broad audience of ocean enthusiasts." The ROPOS, a best-in-class underwater robot -- or Remotely Operated Vehicle -- will capture high-definition video of sea life, exploring diverse habitats and species. This includes cold-water coral in canyons one kilometer deep, sponge and sea pen fields, crabs, anemones and fish -- both commercial and those at risk. These wonders of ocean exploration will be shared through a live stream broadcasting the view of the sea floor in real time. 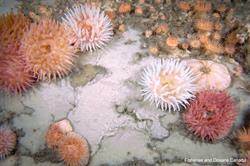 Exploration and ocean protection have never been more important in Canada. An Oceana Canada report released last year revealed that only 24 per cent of Canada's marine fish populations are considered healthy. Exploring and protecting marine habitat and rebuilding fish populations are critical for the health of the oceans and to support thriving fisheries along Canada's coast line. "We hope these expeditions will help more people appreciate the wealth and diversity of our oceans," says Josh Laughren, Executive Director, Oceana Canada. "Canada has an enormous opportunity to protect and rebuild ocean abundance, which can support coastal communities for generations to come." Both the Gulf of St. Lawrence and the Gulf of Maine are economic mainstays for coastal communities and an integral part of the health of our oceans and planet. These areas are among the most diverse, productive and complex marine ecosystems on Earth, some of which have never been seen before or researched using this kind of innovative technology. For more than a decade, Oceana has conducted expeditions around the world, exploring and protecting habitats off the coasts of Europe, the Philippines, Chile and the United States. Oceana Canada is excited to bring this expertise and passion for ocean exploration to Canada this summer. Visit Oceana.ca/expeditions to find out more and join us this summer to explore the Atlantic Ocean. Oceana Canada was established in 2015 as an independent charity and is part of the largest international group focused solely on ocean conservation. Canada has the longest coastline in the world, with an ocean surface area of 7.1 million square kilometres, or 70 per cent of its land mass. Oceana Canada believes that we have an obligation to our country, and the world, to manage our natural resources responsibly and provide a sustainable source of protein for a growing world. Oceana Canada works with civil society, academics, fishers and government to return Canada's formerly vibrant oceans to health and abundance. By restoring Canada's oceans, we can strengthen our communities, reap greater economic and nutritional benefits, and protect our future. Visit www.oceana.ca. The ROPOS, a best-in-class underwater robot -- or Remotely Operated Vehicle -- will capture high-definition video of sea life, exploring diverse habitats and species. 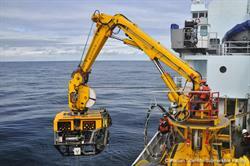 Photo courtesy of the Canadian Scientific Submersible Facility. The wonders of ocean exploration will be shared through a live stream broadcasting the view of the sea floor in real time. Photo courtesy of Fisheries and Oceans Canada.